Dominic Thiem won their only previous meeting in the first round of ATP Vienna in 2017 (indoor hard, 6-4 6-3). Thiem is the only player to have defeated Rafael Nadal on clay in the last 15 months, and despite his recent fitness issues, it’s difficult to see beyond a Thiem win here. 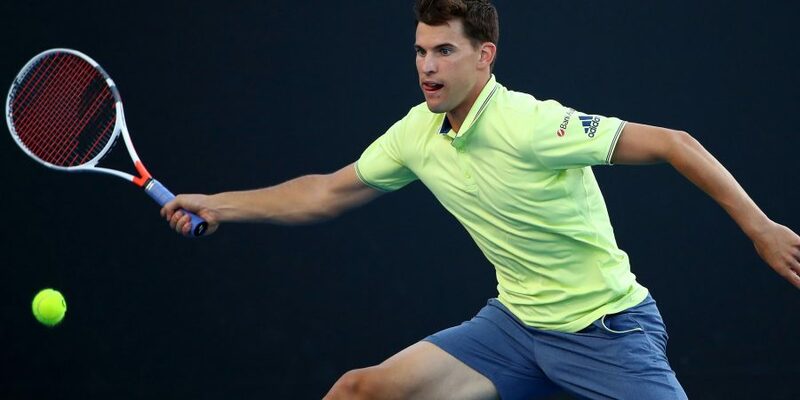 Dominic Thiem, who made a last-minute withdrawal from the Miami Open a few weeks back citing an ankle injury, returns to action at Monte Carlo this week. “Unfortunately I have to pull out from Miami. Hopefully, I will be 100 percent again on the clay in Europe.” – said the Austrian #1 after pulling out of the Miami Masters. Despite his clay expertise, Dominic Thiem has never done well at Monte Carlo in the past. He faced first-round exits here in 2014 and 2015, and progressed to the round of 16 in 2016 and 2017, losing to Rafael Nadal and David Goffin, respectively. Nevertheless, the Austrian has got an outstanding record on clay. He won his seventh clay title (on tour) earlier this season at Buenos Aires and made the quarterfinal at Rio de Janeiro in the following week. The World #7 has got a bulk of points to defend in the coming weeks as he racked up so much of them during the clay swing in 2017. He won the title at Rio de Janeiro (made QF this year), finished as the runner-up at Barcelona and Madrid Masters, and made the semifinal at Rome Masters and the French Open. Thiem lost just five matches on clay last season with three of them coming against Rafael Nadal (two more against Novak Djokovic and David Goffin), and the last time he lost an opening round match in a clay tournament was at Kitzbuhel in 2016 (vs. Jurgen Melzer). Andrey Rublev secured a much-needed win by defeating Robin Haase in the first round of Monte Carlo Masters on Monday. Rublev was the second best in most of the stats but still ended up winning in three sets, 7-6 2-6 7-5. The Russian was on a five-match losing run before entering Monte Carlo (all in straight sets), and this win should help him get his season back on track as he made a great start to the season before falling apart in the recent weeks.